Accessing your inventory to fulfill an order shouldn’t be a safety adventure. 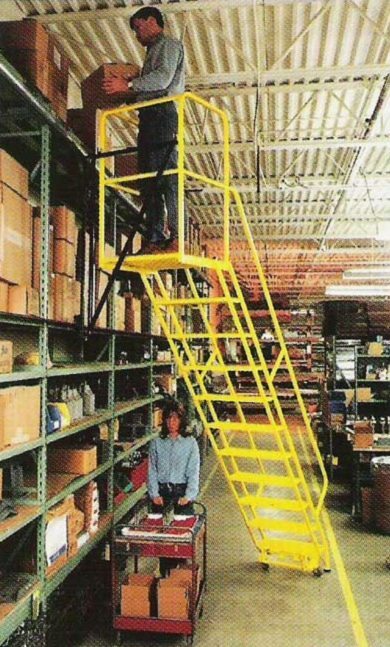 With the best stock picking ladders as part of your equipment assets, you can quickly and safely grab the products needed to make your customers happy. Stock picking rolling ladders are the most economical solution for many brands and businesses. With just one ladder, you can easily access all of your inventory on your shelving within the same building. Just push the ladder into place, climb to the top platform, and safety pick the inventory that has been sold or needs processing. 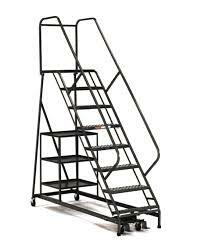 Besides the stock picking rolling ladder, we offer a number of different picking ladders with unique designs that could meet other specific needs. 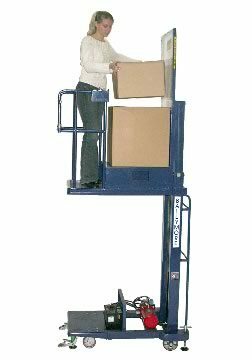 Lift table ladders make it easier to handle large or heavy inventory that needs to be picked. Dual-side track caged picking ladders add another element of safety by providing another level set of bars at the platform to prevent accidental leaning injuries. This design allows for movement underneath the ladder as well, which the standard stock picking ladder does not permit. Folding rolling ladders allow you to quickly access the stock you need to pick without taking up a lot of space, though you lose the under-stair shelving for product storage or movement with this design. 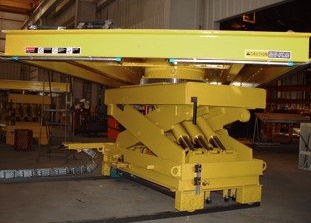 At Industrial Manlifts, we also offer power stocker lifts in addition to our high quality stock picking ladders so you can tackle the toughest jobs with ease. 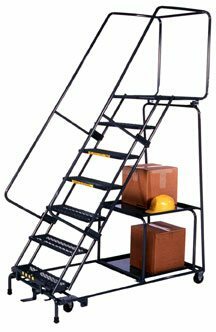 Every item meets or exceeds current published government safety standards and we can also customize each picking ladder according to your specifications. If you have product fulfillment needs, then the best stock picking ladders will help you complete your duties quickly, safely, and effectively. Let our team know what your requirements happen to be and we’ll find or design a picking ladder that is perfect for your situation. 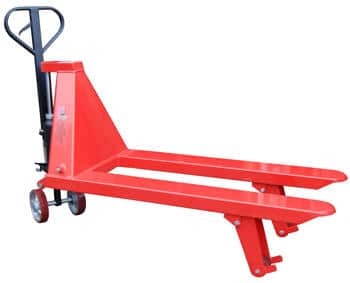 Industrial Manlifts offers Stock Picking Ladders. 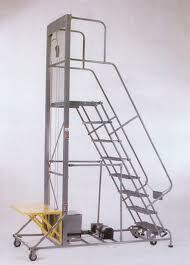 We can customize our Stock Picking Ladders according to your specifications. Please call (888) 730-8377.